May 28, 2010, 8 p.m.
June 2, 2010, 4:31 p.m.
Convergence is a beautiful thing. Several things came together last week that affirmed an idea that I have had percolating in my brain for some time. I was working in Los Angeles last week and I happened to walk by the Staples Center, home of the NBA championship-bound Lakers and the in-the-basement Clippers. 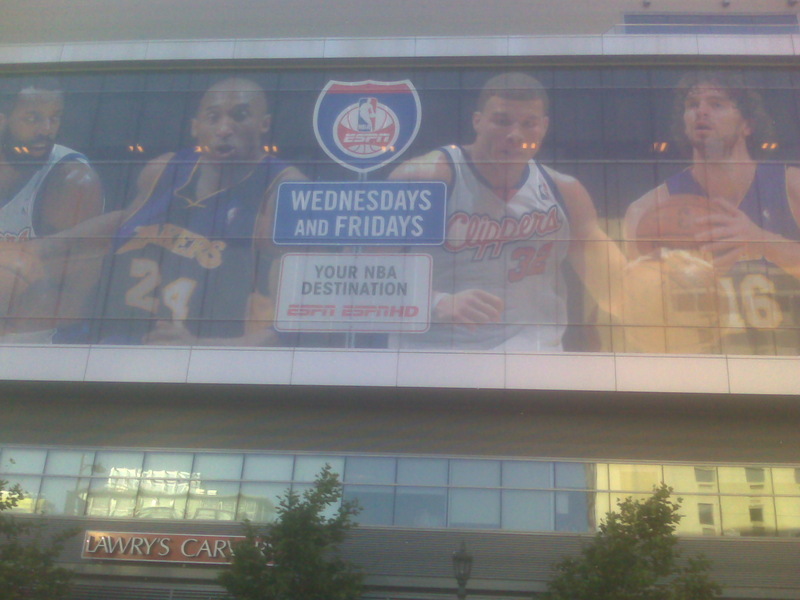 There, covering one side of the building was this huge banner featuring the NBA stars in LA, including Blake Griffin. It was overwhelming. Blake, the number one pick in the NBA draft last year, was born and raised in Oklahoma. Anyone in the Sooner state who follows athletics feels a special bond with him. A class act all the way, Blake was the consensus player of the year while at the University of Oklahoma in 2009. His older brother Taylor plays for the Phoenix Suns. The target of many a blatant foul during his college days, Blake always walked away. He literally turned the other cheek every time. Anyway, I saw this huge poster of him and immediately had a warm, fuzzy feeling, along with enormous dose of pride. Then, I read this cool story about Walter “The Truth” Berry, who like Blake, was the national basketball player of the year in 1986. He had one of the most prolific careers in the history of St. John’s University and the NCAA. After 27 years, Berry finished his undergraduate degree and walked in commencement ceremonies last month. As if that were not enough, Berry Trammel, sports columnist for The Oklahoman wrote a lengthy piece on OU head football Coach Bob Stoops and the lessons he imparts on his players to finish their degrees. This comment in particular sealed the deal. Bingo! That is what the College of Liberal Studies is all about. We help working adults maximize their potential and finish their degrees. Of course, people like Blake will make millions and a degree may not be that big of a deal. But ask any former athlete and many of them will say not finishing school is like leaving unfinished business on the field. Mark Clayton, Heisman-winner Jason White’s go-to receiver in 2003 and 2004 is a starter for the Baltimore Ravens. He came back to OU and graduated this spring. If he can do it, so can a lot of other athletes who left business undone at OU and are now out of their respective leagues altogether. So Blake, if you are reading this, call me.